Complete bust in Colorado. Only worked K3RLL in FL. Only station I heard on 40 and 80m. Quit after 30 minutes. Kx2, NØSA mini-paddles, GenLog. Finally got the chance to try out the new little QRP Labs QCX-40 mini-rig this evening on the Sprint. Amazing what $49 can buy these days: Memory keyer, CW readout, RIT, and the list goes on. Now, if this old man could just learn how to work all those multi-function buttons to make everything work! The printed manual weights A LOT more than the radio. (We don't count the weight of the manual for the Sprint; do we?) Big signal tonight was AA5B booming out of NM. Otherwise, 40m was a bit challenging. Thanks for the contacts. 40 and 80M in pretty good condition, but very little activity this month. 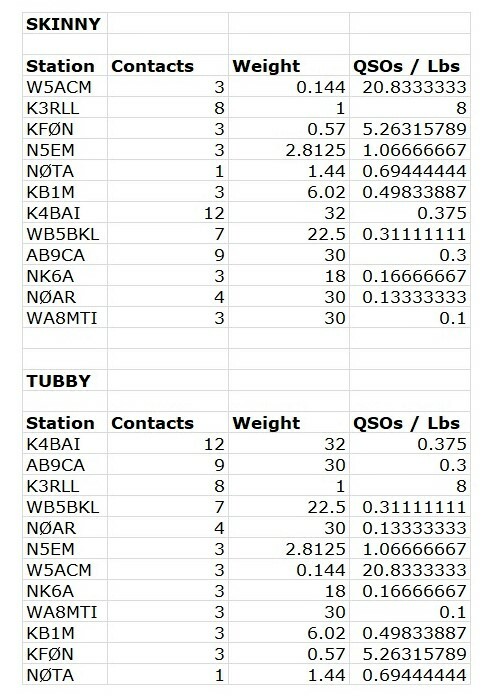 QSOs by band: 80M: 5. 40M: 7. Thanks for the QSOs. Seasons Greetings to all. 73, John, K4BAI. Conditions on 40M were quiet, but there were very few stations out there for the Spartan Sprint! I almost killed the two 170 mAh LiPo batteries in the ATS-3A calling CQ on 40M. 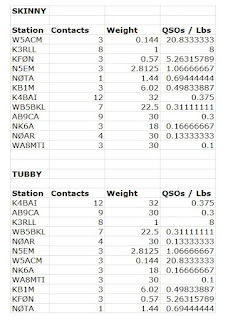 I did get two CA stations on 40M and the ever-present K4BAI on 80M. I was running 3W to my antique ground-mounted vertical. By the time I worked K4BAI, actual power output was declining to about 2W. The 20M daughter board is currently MIA – somewhere in the station… It didn’t matter this month, but hoping to find it for more 20M action soon! 72 de Andy W5ACM, Houston, Texas. K3/10 @ 5W to a 40M dipole or a 40M extended double Zepp. 6 states this time. Best signals: 20M - AB9CA, 40M - K3RLL, 80M - K4BAI. Gave up after 90 minutes - tired. Thanks to all from the Texas hill country and all the best for the season. Also many thanks to the Adventure Radio Society and KI6SN for all the fun this year!